Hailey Brooks, a junior nursing student at Belmont, recently received the 2018 CASA (Court-Appointed Special Advocate) Light of Hope Award which honors those who have been “lights of hope” to children and youth in the community through advocacy and making a difference. Brooks grew up in East Tennessee and entered foster care at the age of 15. 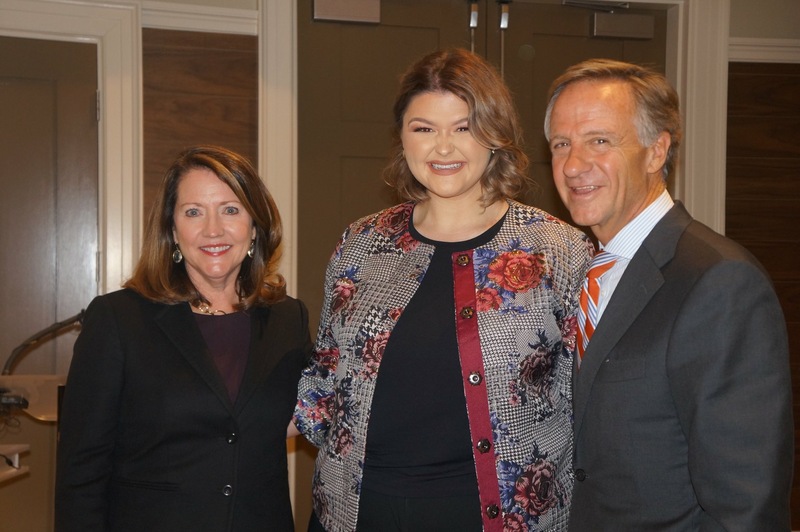 She serves as a member of the Tennessee Commission on Children and Youth where she was appointed by Governor Bill Haslam. Involved in other foster care advocacy positions for years, Brooks has served as a Youth Villages peer advocate and as part of the Department of Children’s Services Children’s Advisory Council. She is also a Jim Casey Fellow and the youngest thus far to be given the role. Brooks is committed to spreading light on both the good and the bad areas of foster care and making positive changes in the system, particularly by increasing foster youth college attendance.